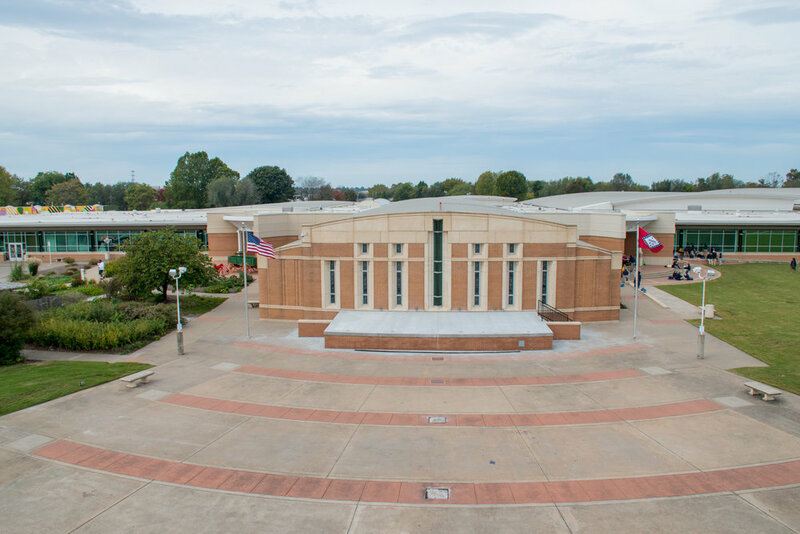 The Jones Center is a recreation, education, and event center for families located in downtown Springdale, Arkansas. The Center boasts a year-round ice arena, junior-Olympic size lap pool, activity pool with a slide, world-class bike park, basketball court, fitness center, indoor track, conference center, and chapel/auditorium. Regional youth sports train here like the Aquahawgs swim team and the NWA Hockey Association as well as individual sports and activities like gymnastics, ballet, aikido, tae kwondo, and figure skating at affordable pricing for families. The Jones Center offers both memberships and scholarships which include free fitness classes such as zumba, yoga, Silver Sneakers, synergy, and spin classes. Several other nonprofit organizations operate within our 220,000 sq. ft. facility including: Camp War Eagle, NWACC, and Haas Hall Academy. The Jones Center: A place for everyone to learn, play, and belong. Our goal: Be a world-class destination for building community, healthy living, and having fun.